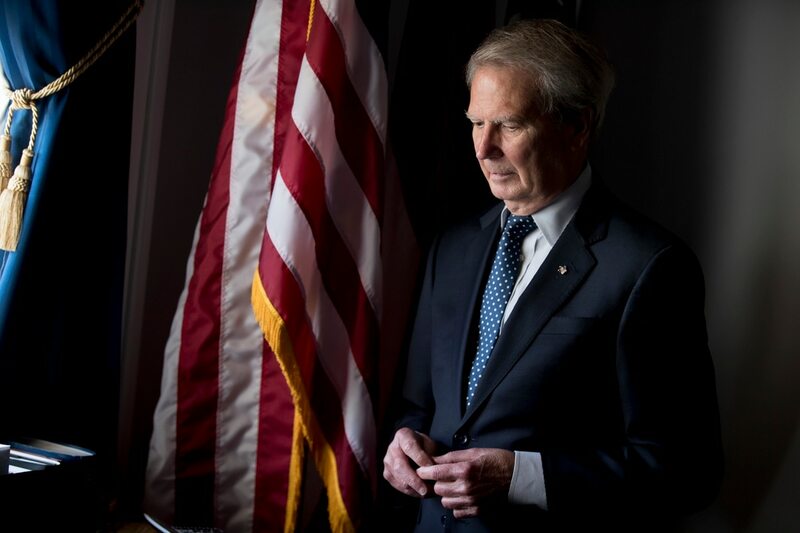 WASHINGTON — North Carolina Rep. Walter Jones, a conservative lawmaker turned anti-war advocate, died Sunday at age 76 after a series of serious health issues in recent months. Jones’ congressional website confirmed his passing. “Congressman Jones was a man of the people,” the statement said. "With a kind heart and the courage of his convictions, he dedicated his life to serving his Savior and to standing up for Americans who needed a voice. He was a champion for our men and women in uniform and their families, always mindful of their service and sacrifice. "Congressman Jones will long be remembered for his honesty, faith and integrity. He was never afraid to take a principled stand. He was known for his independence, and widely admired across the political spectrum. Some may not have agreed with him, but all recognized that he did what he thought was right. Jones served for four years in the North Carolina National Guard and had been a prominent member of the House’s military committees during his 12 terms in Congress. He had been absent from Capitol Hill in recent months because of undisclosed illnesses, and entered hospice care on Jan. 14 after breaking his hip. He had long been a vocal advocate on a host of service member and military family issues. The Republican lawmaker’s North Carolina district includes Camp Lejeune, and he sponsored more than a dozen military and veteran-themed bills last session, many specific to the Marine Corps. A measure to rename the Navy to “the Department of the Navy and Marine Corps” has become an annual legislative fight for his office. But Jones was best known for his evolving stance on the war in Iraq. He voted in favor of the war in 2002 but by 2005 had become a fierce public opponent, much to the chagrin of his fellow Republican lawmakers. John McCain, the onetime Navy pilot and longtime lawmaker, was among the best known veterans in America, and has arguably been the most influential and consistent military advocate for the Republican Party over the last three decades. He has signed more than 11,000 letters to the families of fallen troops over the last decade. Jones more recently has pushed for a revamp of presidential war powers, in an effort to put stricter limits on the executive branch’s ability to sent troops into conflict zones without congressional support.